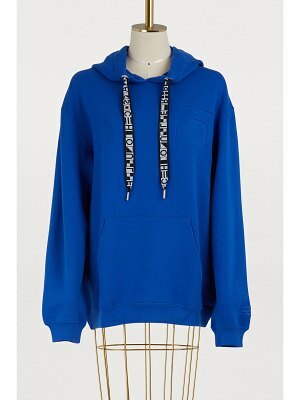 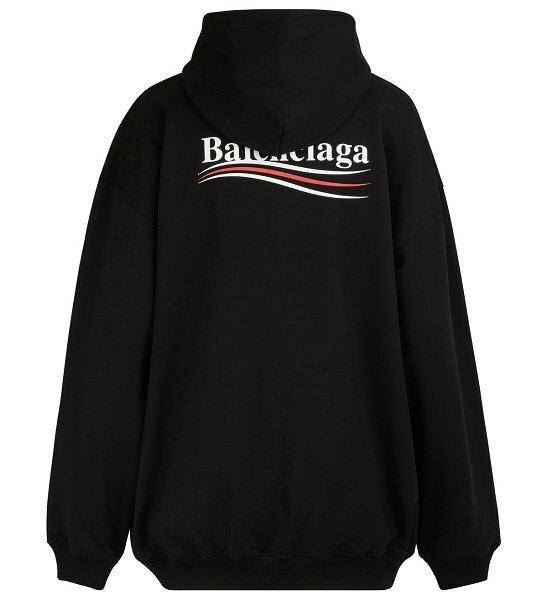 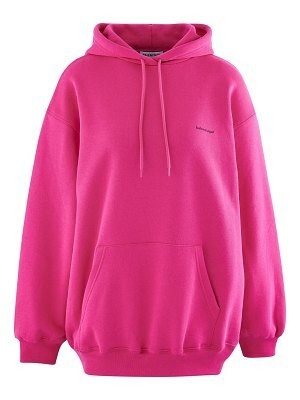 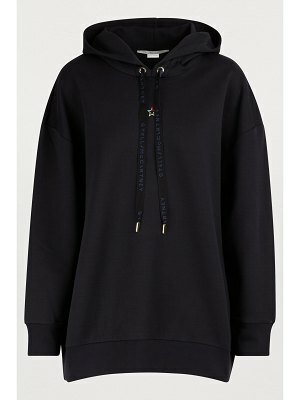 Balenciaga's DNA is defined by oversized logos, deconstructed styles, and androgynous forms, as demonstrated by this hooded sweatshirt. 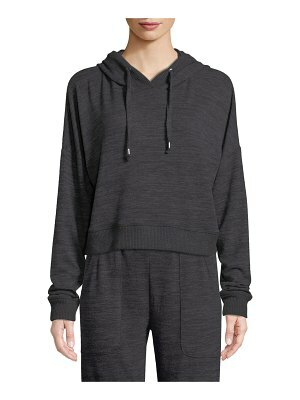 The brand borrows from streetwear for this oversized and impeccably cut piece. 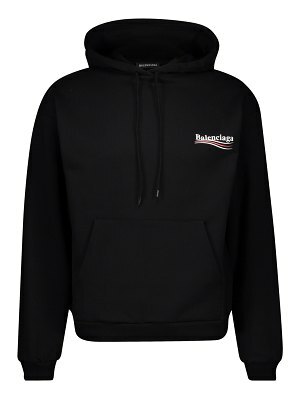 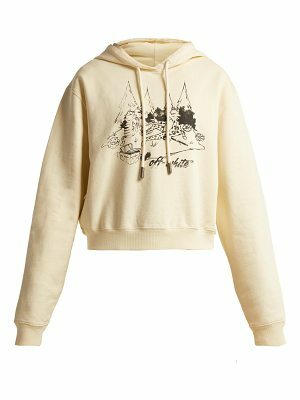 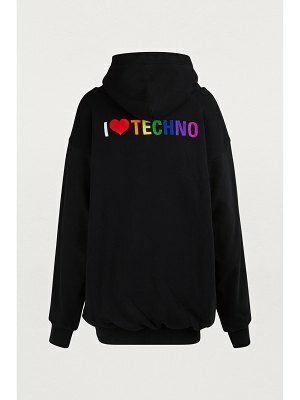 The brand's logo in contrasting lettering stands out and adds a further stylish touch to this sweatshirt, which would show off a miniskirt to perfection.